1685 was a watershed year for events that would lead to what we call the Enlightenment. France´s Sun King Louis XIV revoked the Edict of Nantes and initiated a policy of religious persecution of Protestants. In England, the Catholic James II assumed the throne to the horror of the protestant majority in Parliament. From their exiles in the Dutch Republic, the French philosopher Pierre Bayle wrote his groundbreaking defense of religious tolerance “Commentaire Philosophique” and John Locke wrote the original Latin version of his Letter Concerning Toleration. In this episode, we trace the seeds of the Enlightenment covering events in France, the Dutch Republic, and England. Why did Louis XIV revoke the Edict of Nantes and what were the consequences? Why did the Dutch Republic become famous for its religious tolerance and open debate in the 17th Century? Who was the late 16th century Dutch thinker who opposed censorship six decades before Milton? Why were several members of Spinoza´s circle of radical Dutch freethinkers targeted by censorship and repression? Why was the complete work of Spinoza and even the reworking of his ideas banned in the Dutch Republic? Why were Pierre Bayle’s ideas so controversial that he lost his professorship? Why did the Anglican majority in the English Parliament oppose religious tolerance favoured by both Charles II and James II? How tolerant was the Toleration Act really? How did John Locke provide the intellectual killer blow to the English Licensing Act? What were the consequences of the end of pre-publication censorship in England? You can subscribe and listen to Clear and Present Danger on Apple Podcasts, Google Play, YouTube, TuneIn, and Stitcher, or download episodes directly from SoundCloud. 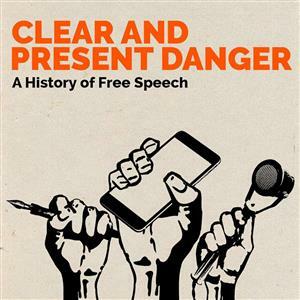 Stay up to date with Clear and Present Danger on the show’s Facebook and Twitter pages, or visit the podcast’s website at freespeechhistory.com.. . .